HELPFULAW FOR THE INDIE ARTIST is a new advice column on legal matters pertaining to the music industry. If you have a question for our columnist, entertainment attorney and indie artist Christiane Cargill Kinney, please feel free to leave them in the comments section below or send them to her at Christiane.Kinney@leclairryan.com. You can also follow her on Twitter @musicalredhead for more helpful indie-artist tips. Q: My band got a mechanical license to record a cover version of a popular song. We shot an awesome music video for it and posted it on YouTube, and got tons of hits. It’s been up for a couple years now, and suddenly we got a take-down notice the other day. Since we are using our version of the song in the music video, doesn’t the mechanical license cover us here? A: Cover songs can be a great way to gain attention from a wider fan base in the indie arena. However, assuming that a single license is going to cover you for every usage of the song is kind of like assuming that your doctor will accept pet insurance to treat your laryngitis. You’re dealing with two (or more) completely different animals. (Get it? Pet insurance, animals … okay, moving on). In all seriousness, this topic touches on an extremely common misconception that I frequently run across in the indie world. Let me start with a copyright refresher. Many of you may already be familiar with the concept that there are two distinct forms of copyright for musical works: (1) there is the copyright in the song itself (e.g., words and music), or the work intended to be performed (registered with the Copyright Office through a Form PA), and (2) there is a separate copyright in the sound recording for that song (registered through a Form SR). Once a musician records and publishes a song, anyone is free to do their own cover version of that song, without the artist’s permission, by obtaining a mechanical or “compulsory” license and paying the statutory royalty fee for that song (currently calculated on a penny basis of 9.1¢ per song, paid per digital or physical units sold). The statutory rate is a bit higher if you go over 5 minutes, but do we really need more songs like “Wreck of the Edmund Fitzgerald” when we have things like social media eating up our free time instead? Aw, now I miss phonorecords. Anyway, what this means in layman’s terms is that performing a song live before you have put it on a publicly distributed album does not expose the song to the mechanical license scheme; however, as soon as it hits CD Baby / iTunes / Borders (oh, never mind), it is fair game for all the cover artists waiting in the wings. Now, this is good news and bad news. Good for any indie artist (say that five times fast) who wants to gain popularity by covering a hit song. When you attempt to “synch” a sound recording of a song with any audio/visual element, you also need to obtain a synchronization (“synch”) license. This is a separate, negotiable license that allows you to use a particular piece of music in “synch” with other visual elements, such as in your music video. This would also be the case if you were filming a live performance of your band performing the cover song (and you’ll need a public performance license for that too, unless the venue has the necessary blanket licenses in order). You also need a re-print license to include the lyrics to the cover song in your album liner notes. There are about as many music licenses as there are “Beliebers” (okay, not that many), and they each serve different purposes. Why? Well, let’s go back to the whole concept of two distinct copyrights to help put things in perspective. Remember, not only is a sound recording of a particular song copyrighted, but the song (words and music) is copyrighted as well. You’re not “synching” someone else’s sound recording for your music video; however, you are “synching” someone else’s song. The owner of the copyright in that song holds certain exclusive rights under copyright law, including the exclusive right to reproduce, to prepare derivative works, to distribute copies, to publicly perform, and to publicly display the work, until that work falls into the public domain. In your case, you obtained a license to reproduce and distribute the work through the mechanical license scheme. I am assuming based on your question that you did not obtain a synch license in order to publicly perform the work in synchronization with your music video. That is a separate license (and a separate exclusive right) that needs to be negotiated directly with the copyright holder. So, technically, even if you create the entire performance and recording yourself, you still need both the mechanical and synch license to legally publish a cover song on YouTube or any other video site, unless it falls within public domain (don’t assume! ), or if it was published under a creative commons license allowing for free re-use. So, you didn’t get your synch license. What happens now? Well, we’ve all seen tons of examples that suggest that doing cover songs is largely tolerated on YouTube. However, a certain tolerance does not make the activity legal. 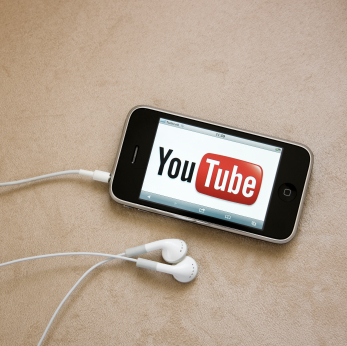 If YouTube receives a copyright infringement complaint from the publisher or owner of the song, as likely happened in your case, it may take down your video and give you a copyright strike. After multiple strikes, your channel gets deleted. So, posting covers without the proper license means you risk losing your channel. It also opens you up to the possibility of a lawsuit for copyright infringement. Now, on a positive note, YouTube has deals with many record and publishing companies through its Content ID Program. Under this program, at the copyright owner’s sole discretion, YouTube may monetize your video with advertisements rather than take it down, with the copyright owner getting a share of the profits. When a video of yours is found to be in copyright violation, it’s up to the copyright owner as to whether the video will be monetized or removed. When all is said and done, the smartest move is to negotiate directly with the copyright holder of the musical work to get a synch license. Ask if they will give it to you free of charge if the video is purely being used for promotional purposes via YouTube and your band’s various websites. Some will, some won’t – but it’s worth a shot, and then you can show YouTube your licenses and get your video back up and running for the whole world to enjoy! So, let’s do a quick recap on what we’ve learned. If you want to record a cover song and promote it on YouTube, you need to secure a mechanical license AND a synchronization license, and should do so before spending the money recording the song and shooting a music video. Contacting the copyright owner to negotiate a reasonable rate for the synch license after the fact (though your bargaining power is greatly diminished). If your video hasn’t been taken down by YouTube yet, you can always hope that the copyright owner will choose to monetize your video, but that’s a riskier proposition. We also learned that we all miss phonorecords, and it’s hard to say “good for any indie artist” five times fast. That’s really the take-away here. Now roll the fine print. © 2012 Christiane Cargill Kinney. All rights reserved. This Blog contains information of a general nature that is not intended to be legal advice and should not be considered or relied on as legal advice. Any reader of this Blog who has legal matters involving information addressed in this Blog should consult with an experienced entertainment attorney. This Blog does not create an attorney-client relationship with any reader of this Blog. This Blog contains no warranties or representations that the information contained herein is true or accurate in all respects or that it is the most current or complete information on the subject matter covered. Christiane Cargill Kinney is a Partner and Chair of the Entertainment Industry Team of LeClairRyan, LLP. has written 229 posts in this blog.